Add this heater to your poncho setup for added warmth. Armor up for the worst! Marry this Liner with your poncho for a secondary barrier of warm insulation to protect you from cold. Also functions as a handy stand-alone blanket. Seems a fussy inspector found a couple of threads out of place, but nothing affects performance. Order now to beef up heat for your poncho! U.S. Military Style Poncho Liner is rated 4.8 out of 5 by 319. Rated 5 out of 5 by Burch from Quality items received in a timely manner. 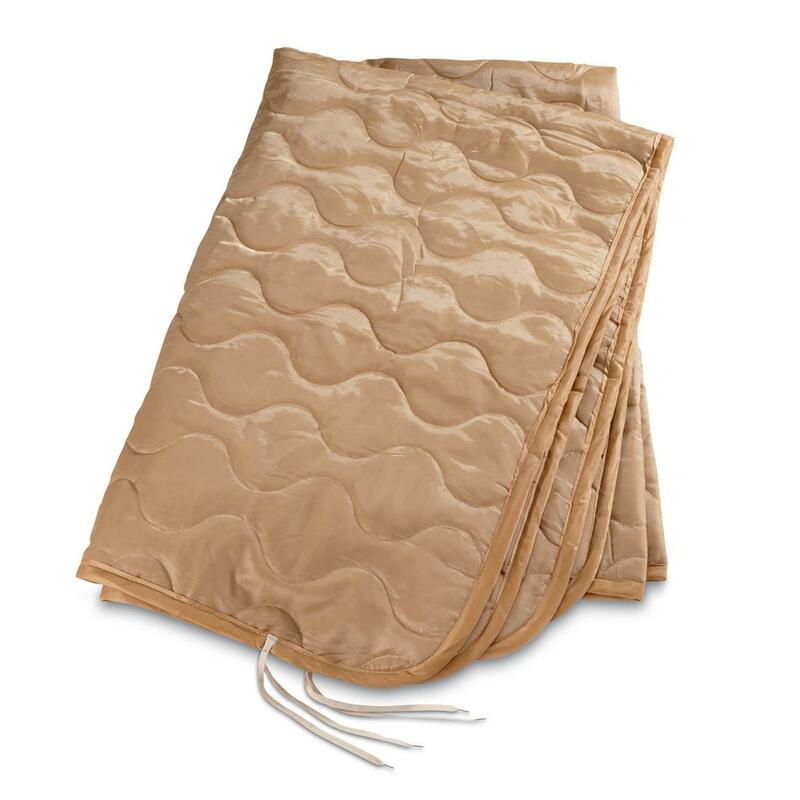 Rated 5 out of 5 by Ann236 from Great price! Great quality. Rated 5 out of 5 by Graz from Well worth the price! Thick, soft & warm! My husband loves it! Thank you! Rated 5 out of 5 by ElkRidgeRanch from Great value I've own these before, excellent and durable!!! 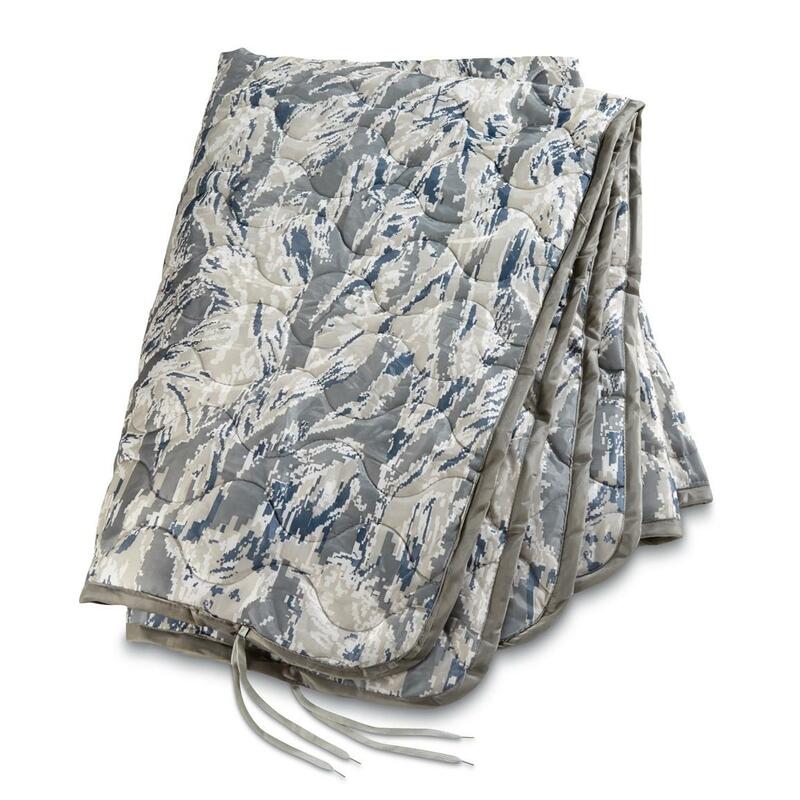 Rated 5 out of 5 by Tennmarine from Great poncho liner I've had both present liners for at least 10 years, (bought from Guide Gear, of course). 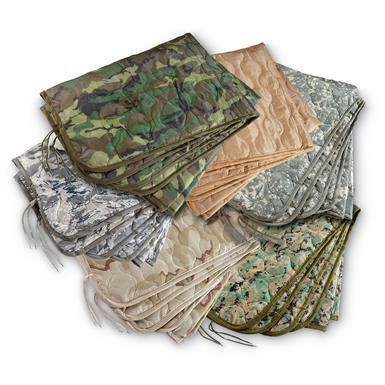 Very durable, most easy to wash, and dries in no time. I would be lost during the winter, without my poncho liner, bundled up watching tv! (Also a great camping item, that's why it's always good to have a extra)! Identical to Marine Corps issue, I may add..oorah! Rated 4 out of 5 by darth brando from good quality but... 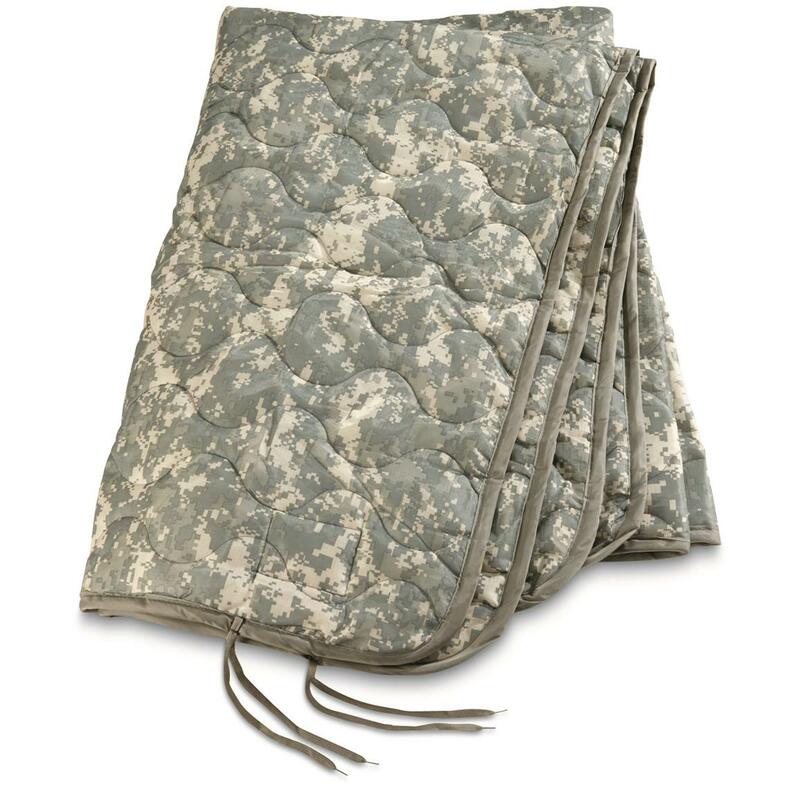 NOTE: these liners are NOT same material or quality as the original 1970-2009 US military issue poncho liners. 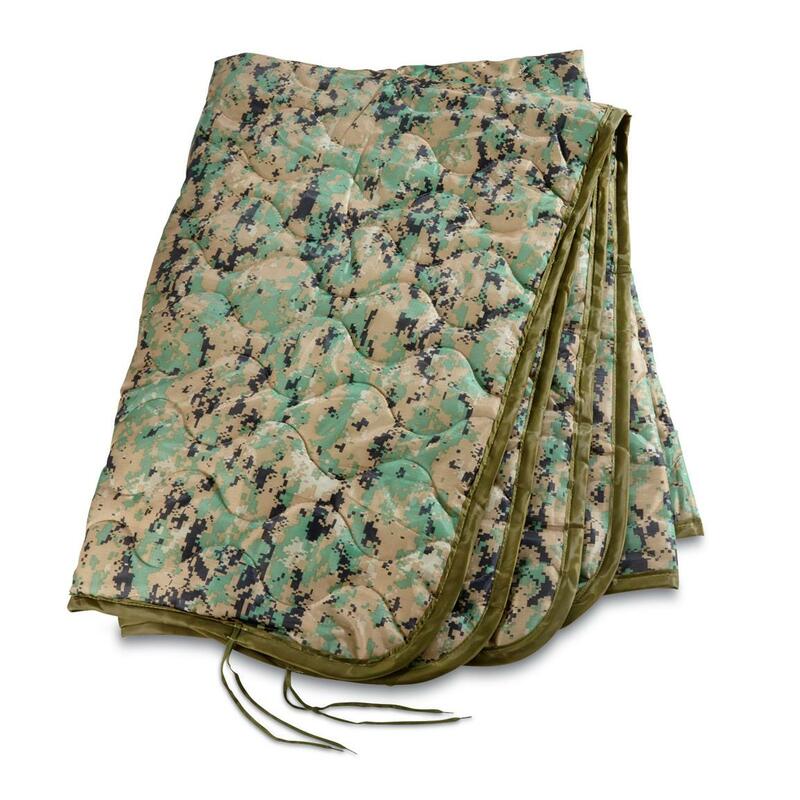 the nylon shell is not the US military soft ripstop gradebutthese liners are of the same construction style specifications (same stitching pattern, fill thickness though maybe not exact same fill) and same ribbon seamed outer hem with the same paracord ties in the same places.some time ago there was an article somewhere about the poncho liner woobies no longer being standard military issue, that said if they no longer are issued then well they may no longer be made the same exact way with same exact materials as the older generation ones. 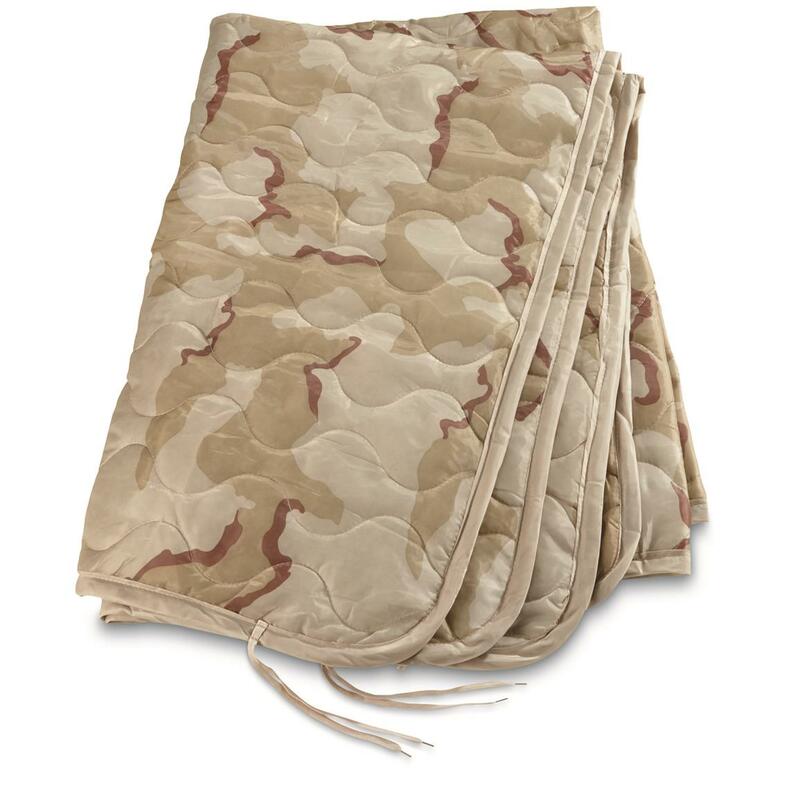 all that aside these poncho liners are great quality, great warmth though these are still a bit stiff/rigid with that brand new feel an thus a bit bulkier in stowing. these are still a great deal on quality for the buy. 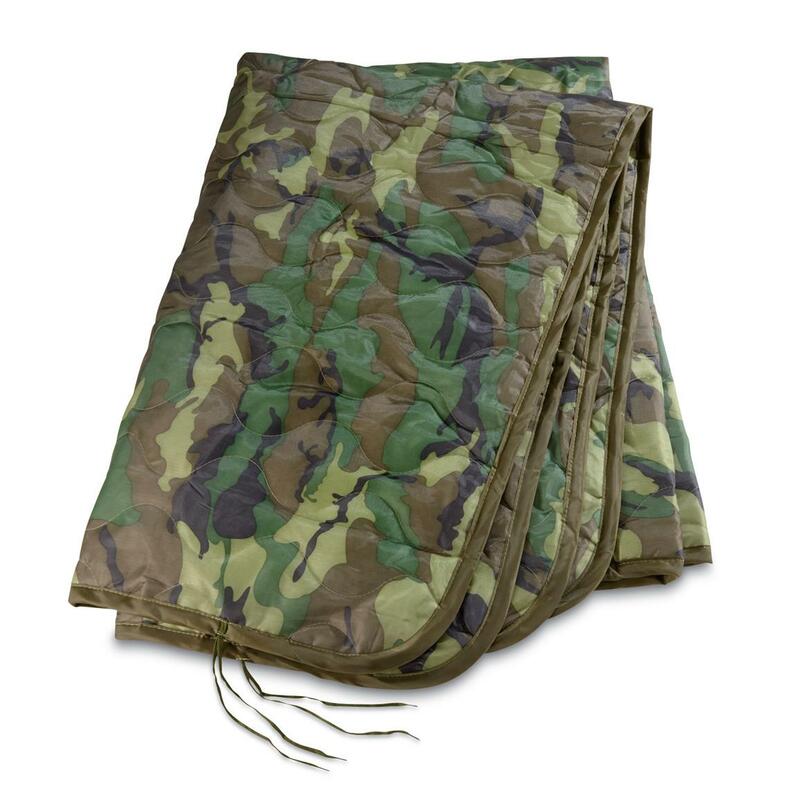 great as liner or as a light weight blanket/sleeping bag(if you buy 2) crafting a sleeping bag from 2 is surprisingly very warm and in my opinion just as good as the military issue lightweight summer mummy bag. Rated 5 out of 5 by GJT1 from Nice woobies! Bought 2 because of price. Very pleased. Seem a bit warmer than pthers I have used. Stitching / border is flawless!